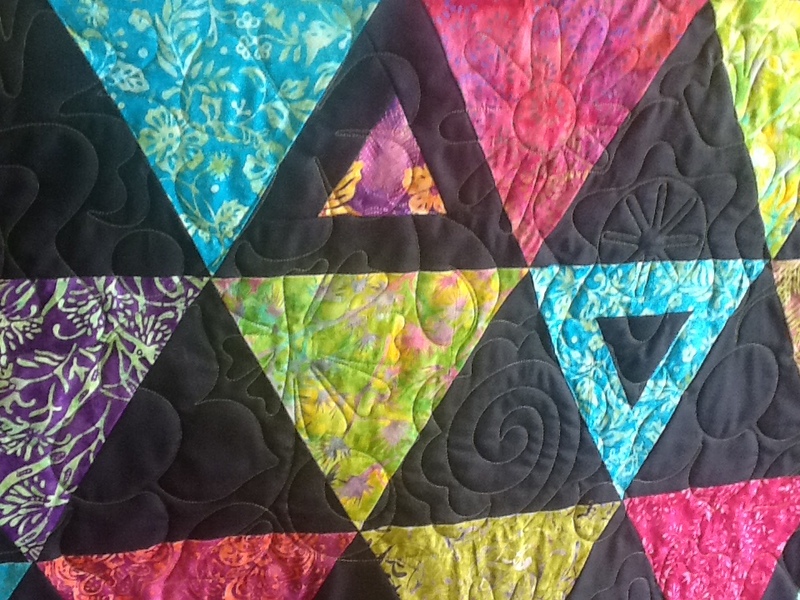 Thread Waggle Quilting: Finally quilted! I took some time off to go on a quilting retreat with Mom. This was our fifth year attending the retreat. It is a crazy time of year for me. It hits right after the Mid Atlantic Quilt Festival. This year I took my equipment to that show, which made things even more crazy. Just to give you a taste of my glamorous life. We packed up the UHaul at the end of the show Sunday evening and I drove back to Raleigh. Monday morning, Matt and I unloaded the UHaul and set the machines back up. Then Mom drove my car and followed me to drop off the UHaul, so that Matt could go to work. Back to the showroom to teach an online class that afternoon. Tuesday I worked at the showroom all day. Wednesday we packed the car and drove to Winston Salem for the retreat. By Sunday, I just wanted to be home. It was a LONG two weeks! I don't get to piece very often. I took the pieces of this quilt, all cut out and ready to sew, to that very first retreat five years ago. There are two of these quilts. A Boy version, that does not have pink in it and this Girl version. They are for the room the twins stay in when we get to spoil them overnight. The boy version has been on one of the beds for almost 4 years. I finally got the girl version pieced this year at the retreat. 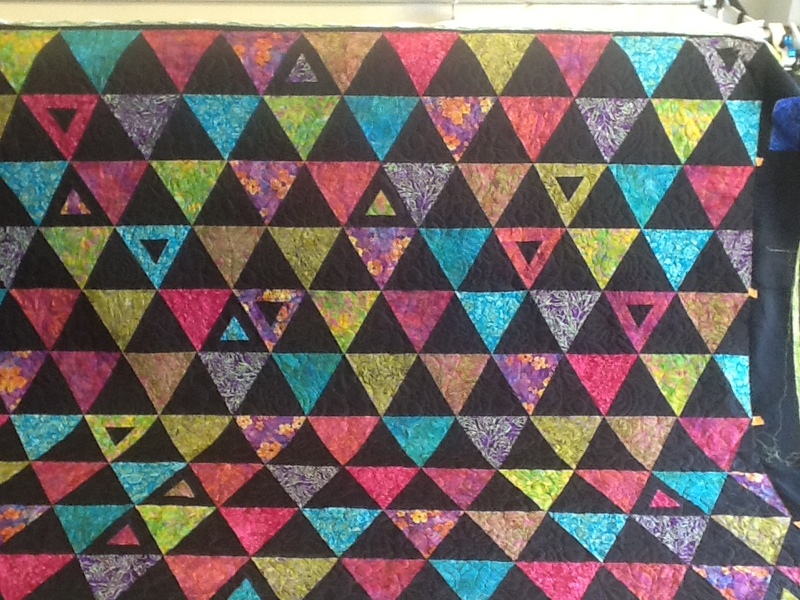 It is even quilted and the binding is partially applied. I just need to finish hand sewing it down. 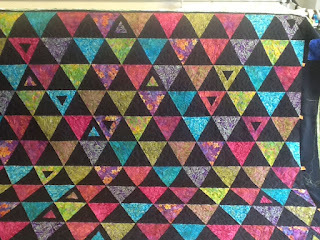 The piecing pattern is Equal Rights, by Swirly Girls. I love the Ann Bright panto that I chose for this quilt. It's called Flower Doodle. 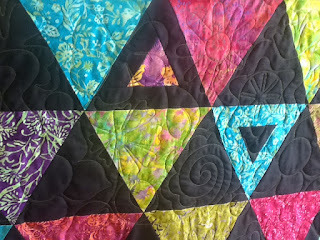 We quilted the quilt with Sew Fine Spring Green on the top and Lime Green Superbobs in the bottom! I can't wait to get the binding finished so that I can finish decorating the "Twin room."